The fennels are characterized by the anise or licorice flavor, which varies according to the amount of the essential oil present in the specific plant. The delicate leaves are used in cooking and in salads and make a great flavor contribution to almost anything. 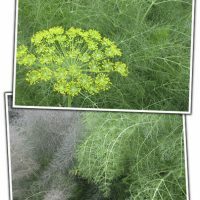 Bulb fennel’s sweetness makes it a wonderful sliced and lightly browned vegetable accompaniment to many meat and fish dishes. You may recognize the flavor in Italian sausage, too. Most fennels grow to a height of three to five feet; after harvesting the seeds, cut the stalks down to the ground. You’ll be rewarded with new growth. 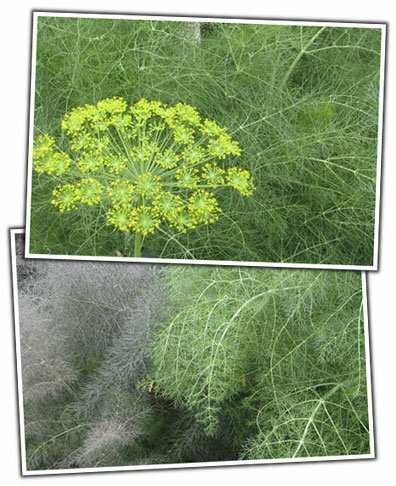 A hardy, drought-resistant plant, fennel does look better when it receives a bit of water.